Puree the parsley with the cream until smooth, season. Transfer the sauce to the prepared dish. Spread the potatoes on top. Approx. 30 mins. in the centre of an oven preheated to 200°C. 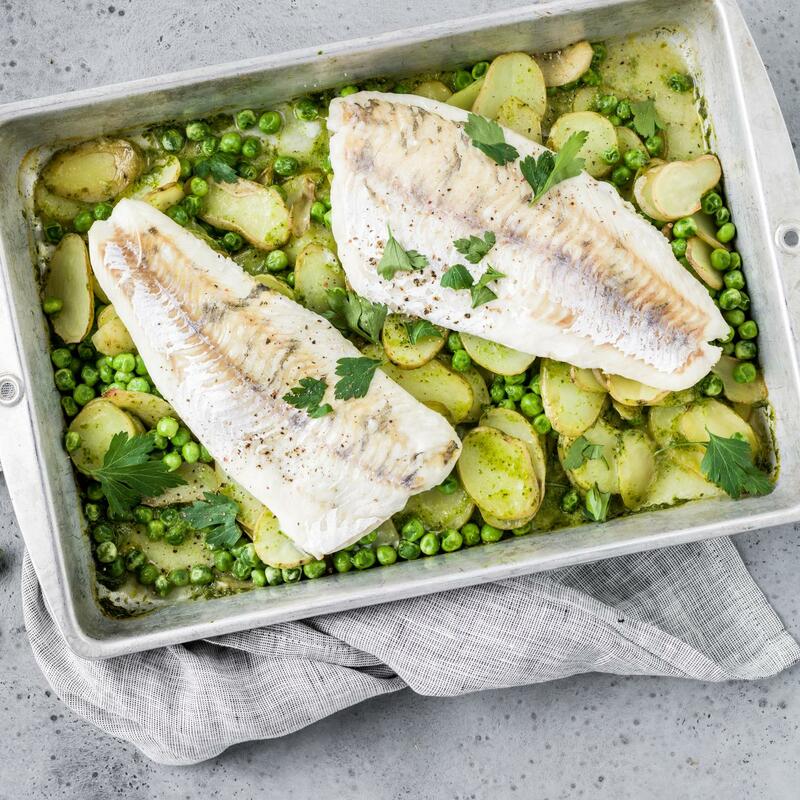 Mix the peas in with the potatoes, season the fish and place on top, bake for a further 15 mins. until cooked. Remove from the oven, garnish with the reserved parsley.